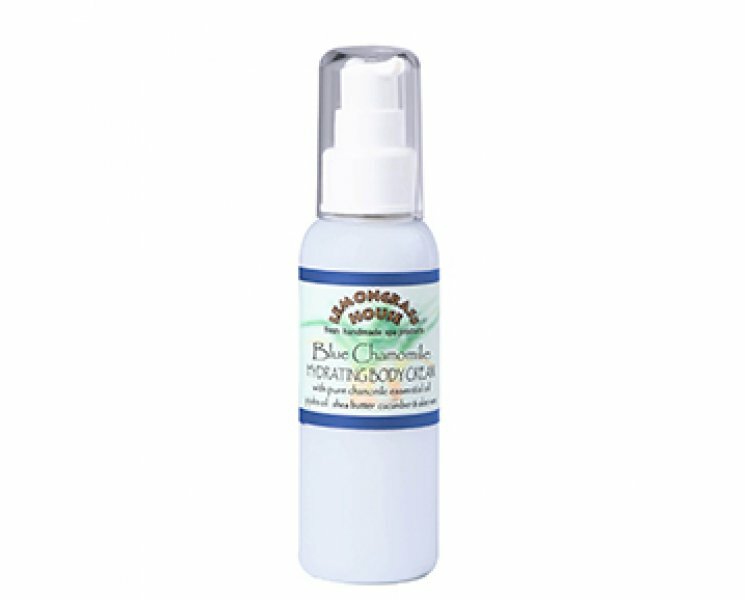 Our Blue Chamomile Hydrating Body Cream is enhanced with pure botanicals - White Orchid for promote soothing sensitive skin and Green Tea to protect from free radicals. Jojoba Oil, Shea Butter and Aloe Vera are also infused in this highly moisturizing formula. Use regularly to help skin maintain its natural elasticity and healthy glow. Ingredients : Aloe vera juice, aloe vera gel, shea butter, cocoa butter, sweet almond oil, stearic acid, bees wax, cucumber extract, green tea extract, blue chamomile essential oil, vitamin C, citricide.